This is a great recipe if you had potatoes last night and have some left over, it's also a great recipe if you didn't. It's a great little dish. Transfer to a mixing bowl, flake in salmon and add the remaining ingredients, mix well, cover and pop in the fridge for 1/2 an hour. 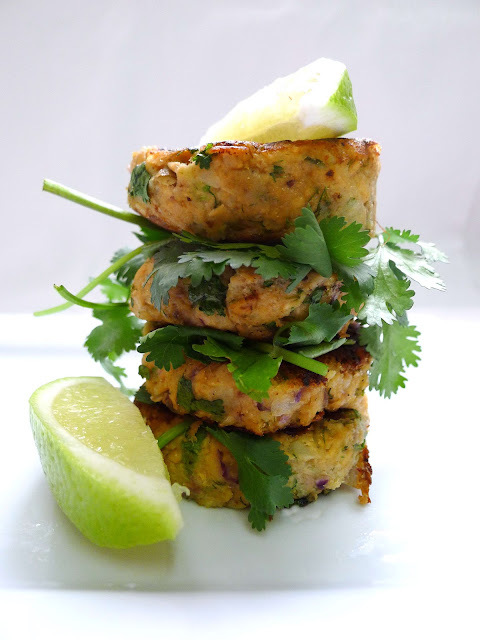 Shape into 10 medium-sized fish cakes. Pour a good glug of oil into a non-stick frying pan and place on med-high heat. 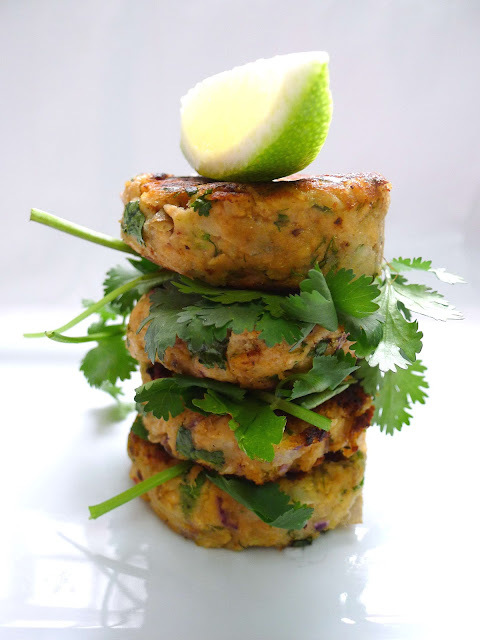 Fry the fish cakes in batches, turning 2-3 times until browned and crisp on the outside, about 10 mins.